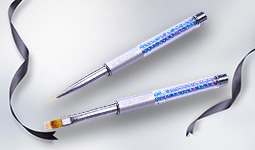 The pen designed for picking rhinestones and other charms beads. Exquisite design, comfortable and easy to handle. Perfect for fine nail art work, suitable for professional use and home use.